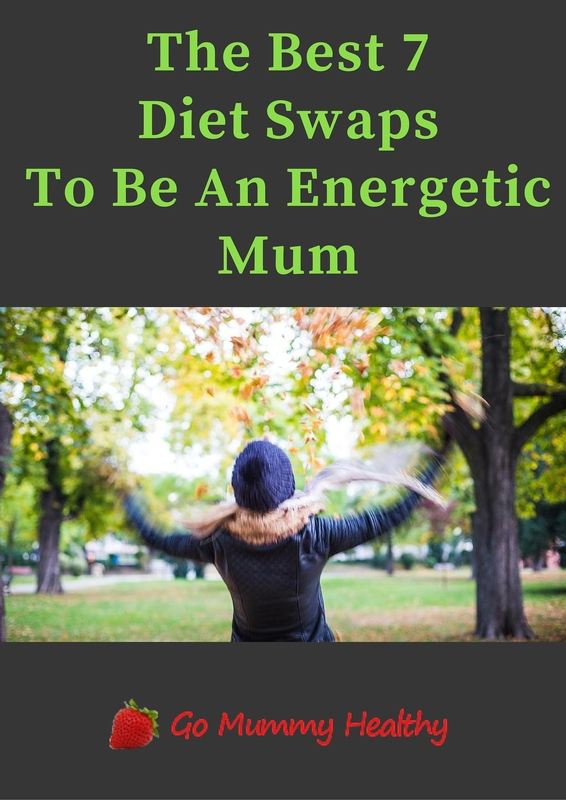 These recipes are not just ready in 15 minutes, but they are tested and approved by toddlers and childrens. 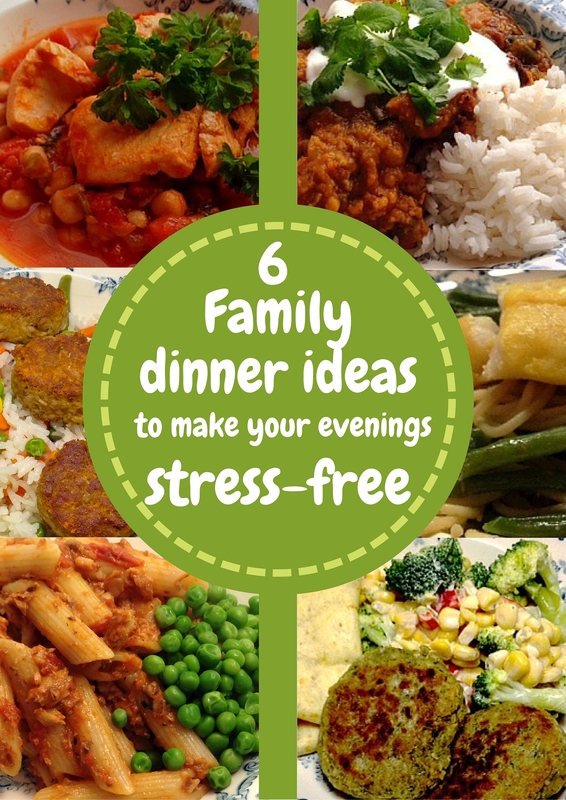 Soups make a healthy and filling supper, but they usually not the children’s favourite meals. Here are three really simple recipes to start with. I know the feeling when you spend a lot of time and effort to come out with a lovely soup, and children just do not want to eat them. I have found that these three soups are welcomed by children, so give them a try. They are really quick soups to make so at least you do not risk too much. You know your child’s taste, so if she/he likes sweeter taste, start with the Red lentil and carrot soup, if she/he likes playing with food start with the Chicken miso and if she/he accepts better food made by her/himself start with the Gazpacho. Tear the bread into smaller pieces, put into a bowl and cover with the water. 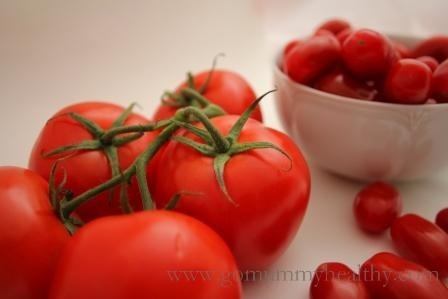 Place the tomatoes into a bowl, cover with boiling water, leave for 30 seconds, then peel and roughly cut them. Place them into the liquidiser or food processor. Peel the cucumber, cut it half way and scoop out the seeds (discard them), then cut the flesh into chunks and add to the tomatoes. Halve, seed and chop the pepper too. 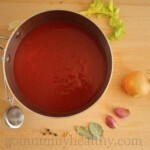 Add the soaked bread, peppers, cucumber, garlic cloves, olive oil, lemon juice to the tomatoes and blend until smooth. Season to taste and chill at least 1 hour before serving. As topping, you can offer boiled and chopped eggs and/or chopped chilli to the soup. But really. Toddlers can take vegetables and noodle into their hand, they can try new vegetables and tastes, you can relax, because they surely will eat some part of it. Miso can be simple and filling – and healthy. My kids accepted this recipe with enthusiasm, so I think this is a great way to introduce Asian food into their life. Put the water or chicken stock into a deep pan and bring to the boil, then add the miso paste and bring to the boil. Cut the chicken breast into bite size pieces (cubes or strips) and add them to the stock, cook about 2 minutes, then add the noodles and cook 4 minutes. Meanwhile cut the spring onions into thin slices and place them into a small serving bowl. If you are using red chilli: slice them finely and also put them into a small serving bowl. 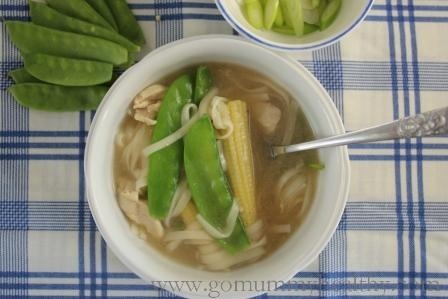 Add the baby corn and mange tout to the soup and cook further 2 minutes. When the pasta cooked remove the soup from the heat. Divide the spinach into 4 serving bowl and pour over the hot soup. Serve with the spring onions on top and offer the chilli to it. Yes, this is a family favourite: I love to make it, it is filling and I think because of its sweet taste the kids just love it. 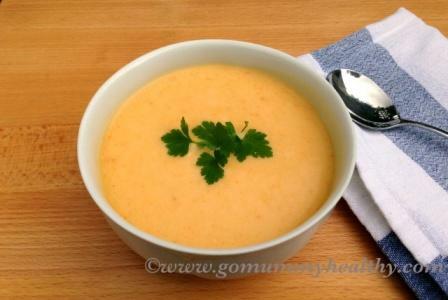 This is a creamed soup, the trick is to make it very thick – nearly puree, so even toddler are able to eat it with a spoon. Heat the oil in a deep pan, chop the onion finely, and fry it on medium heat for 2 minutes. Peel and cut the carrots into chunks and add to the onion, cover and cook for 2-3 minutes on low heat. Then add the stock, bring to the boil and cook for 10 minutes until the carrots are nearly tender. Add the red lentil and cook for further 5 minutes. When the lentil is cooked add the sour cream or soft cheese and using a stick blender make a cream soup. If you want to make it thicker for toddlers to help them to eat, just mix 1 tsp fine rice flour into their hot soup and let it cool a bit before serving.